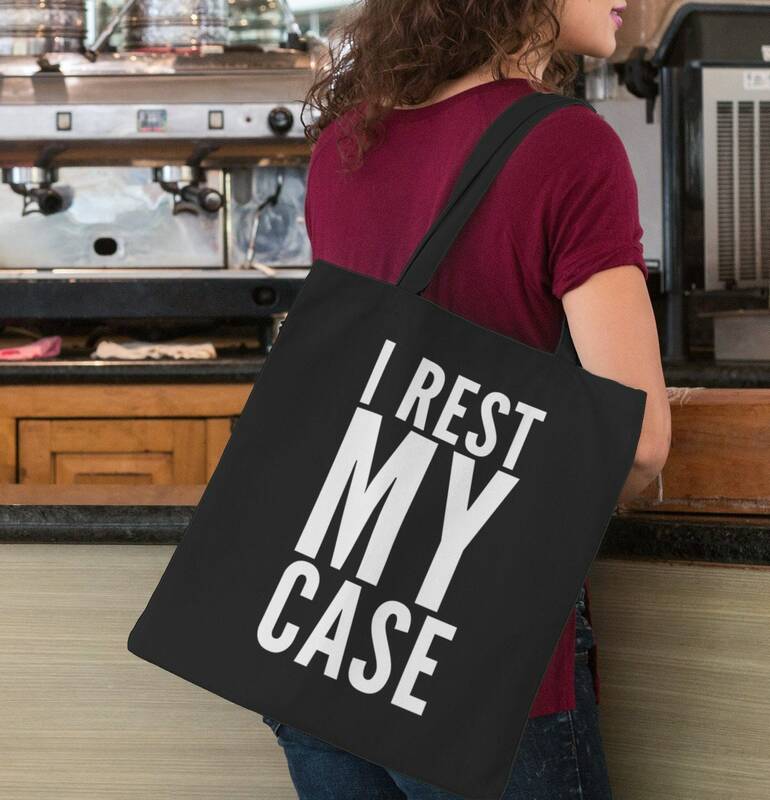 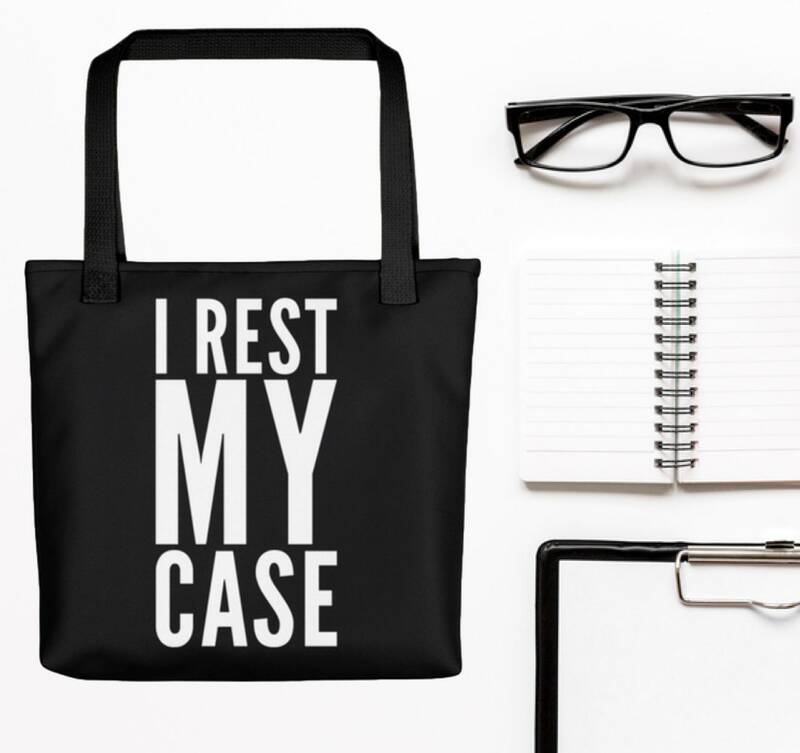 Large sturdy cool tote for the attorneys and future lawyers in your life to carry everything from their extra legal papers to their groceries. 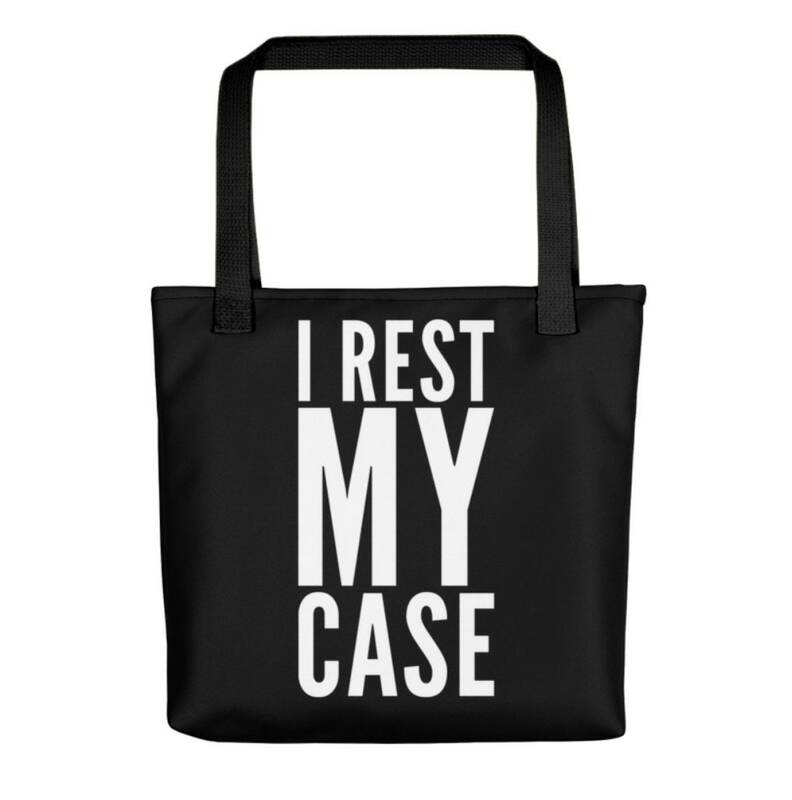 This sleek handbag with white text on black will become their favorite. 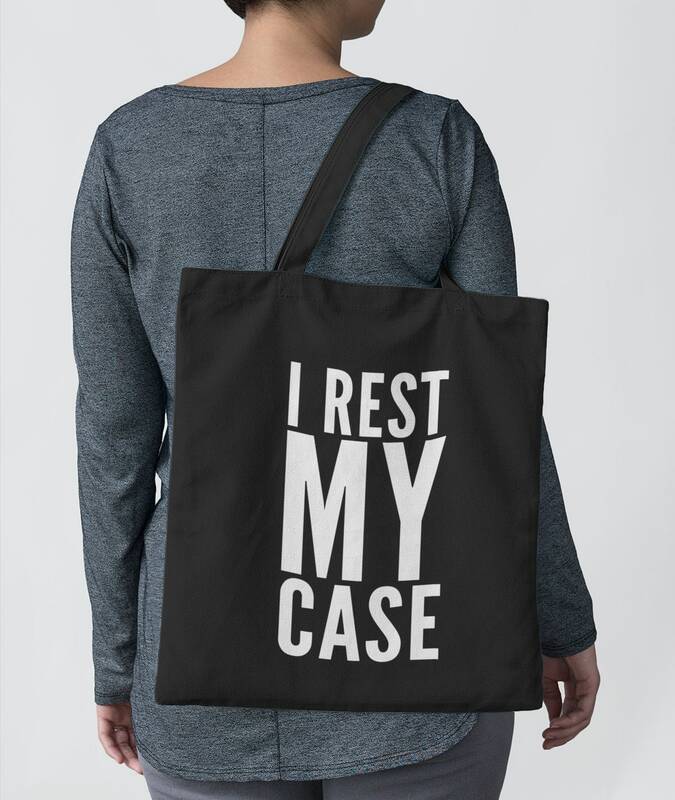 Makes a fabulous law school graduation present.